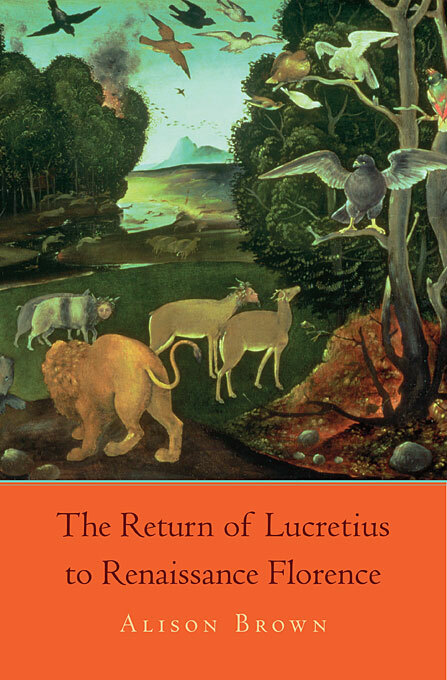 In this first comprehensive study of the effect of Lucretius’s De rerum natura on Florentine thought in the Renaissance, Alison Brown demonstrates how Lucretius was used by Florentine thinkers—earlier and more widely than has been supposed—to provide a radical critique of prevailing orthodoxies. To answer the question of why ordinary Florentines were drawn to this recently discovered text, despite its threat to orthodox Christian belief, Brown tracks interest in it through three humanists—the most famous of whom was Machiavelli—all working not as philologists but as practical administrators and teachers in the Florentine chancery and university. Interpreting their direct use of Lucretius within the context of mercantile Florence, Brown highlights three dangerous themes that had particular appeal: Lucretius’s attack on superstitious religion and an afterlife; his pre-Darwinian theory of evolution; and his atomism, with its theory of free will and the chance creation of the world. The humanists’ challenge to established beliefs encouraged the growth of a “Lucretian network” of younger, politically disaffected Florentines. Brown thus adds a missing dimension to our understanding of the “revolution” in sixteenth-century political thinking, as she enriches our definition of the Renaissance in a context of newly discovered worlds and new social networks.